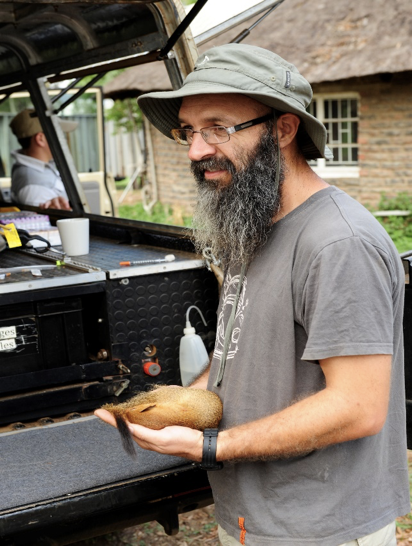 These words, reported by an employee at the Secunda Synfuels Operations plant, initiated a fascinating study on wildlife in areas surrounding industrialised sites. 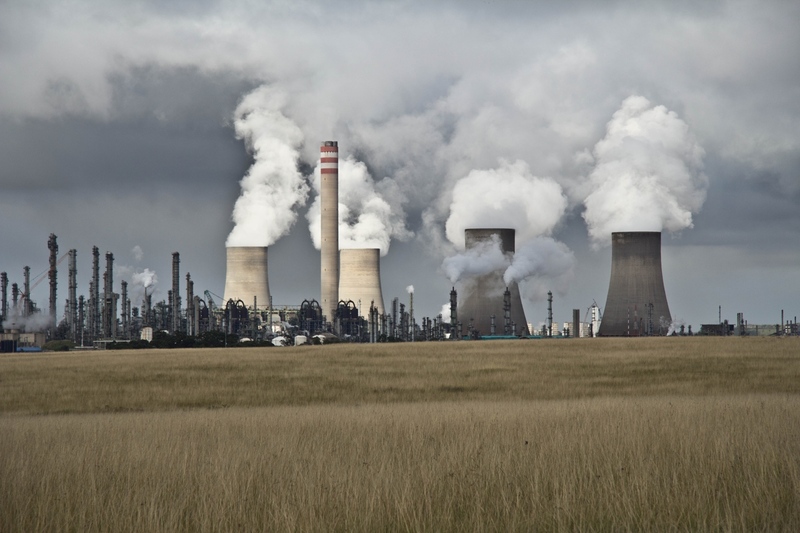 No environmental manager at this huge petrochemical plant in South Africa expected to find cheetah on site. These large spotted cats could be found elsewhere in the country, but not here. And especially not at this heavily industrialised site. Something didn’t add up. The Sasol Secunda Synfuels Operations plant: Not your average wildlife habitat. We were tasked with finding out what was going on. The petrochemical plant is surrounded by large tracts of modified and natural vegetation, ideal sites to look for the elusive ‘cheetahs’. 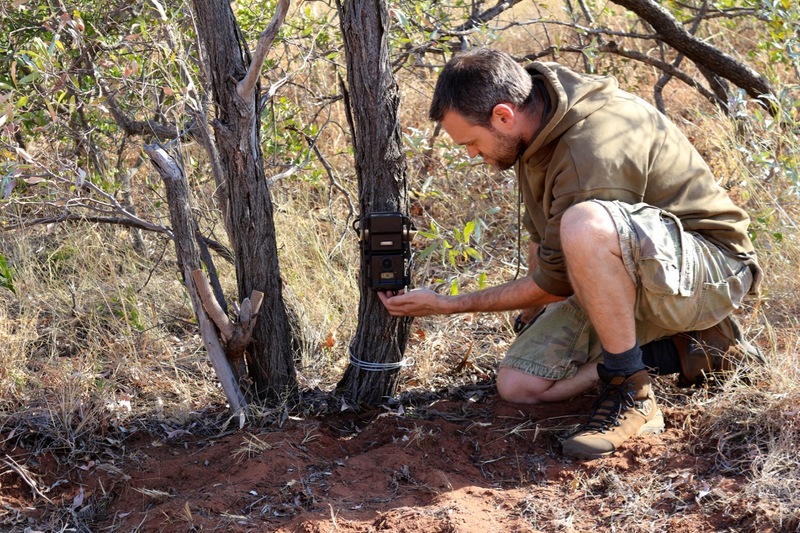 With a few camera traps in hand we set out to camera trap the animals. We camera trapped some cats, but they were not cheetah, they were serval (Leptailurus serval), another spotted cat. 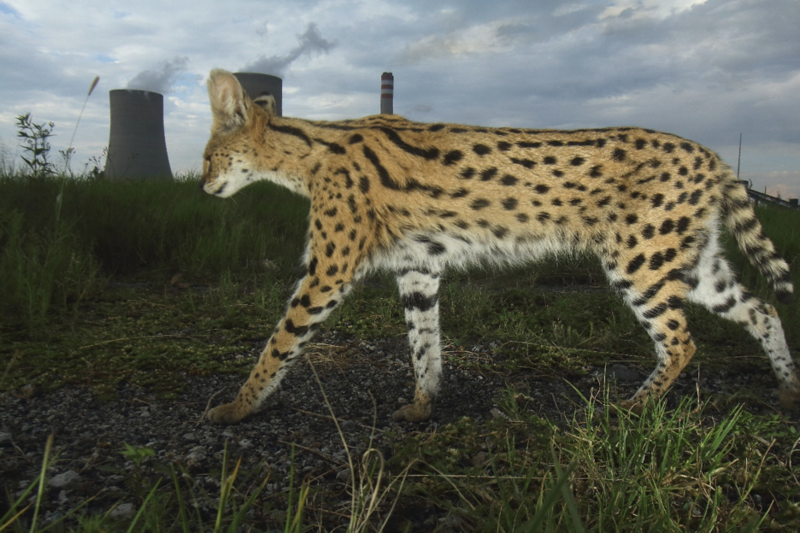 A serval living among the cooling towers and other signs of heavy industry at the plant. What really surprised us was the number of serval pictures were we getting. Somehow it seemed these cats didn’t mind sharing this space with people or industrial vehicles. Armed with these photographs we were able to leverage some funds from Sasol Synfuels to initiate a large-scale study on serval ecology. We set up camera trap surveys based on spatially explicit mark recapture framework, starting in 2014, which still continues. 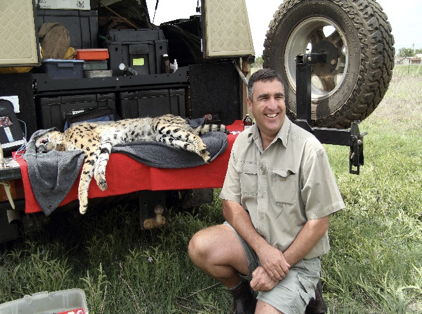 This allowed us to track the serval population density over time. When the data started pouring in we were shocked to find serval density estimates much higher than had been previously recorded elsewhere. 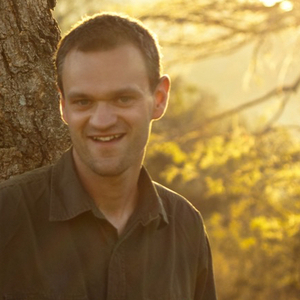 We then also initiated spatial ecology research that allowed us to explore population structure and resource use. High serval population density estimates were consistently obtained over subsequent surveys, while live trapping data showed that the population the structure appeared to be stable and was similar to other sites. These results form the basis of our paper, highlighting the incredible densities estimated, and hence the conservation value of this industrial site for conservation. While our study area is not a far flung exotic site, it still provided some field work challenges. Although we took precautions to deter camera trap theft, there was little we could do to prevent our camera traps going up in flames during bush fires. Thankfully we managed to recover the pictures from even the most charred camera traps. Conducting fieldwork at the plant. We think that this area can support such high serval densities because wetlands surrounding the plant support an ample rodent food supply for serval. In collaboration with the Department of Zoology at the University of Venda we are now also tracking serval prey, and early results show that serval prey populations are relatively high and remains high throughout the year. We also think that the fencing around the plant keeps competition from other carnivores low, while minimising persecution by humans. 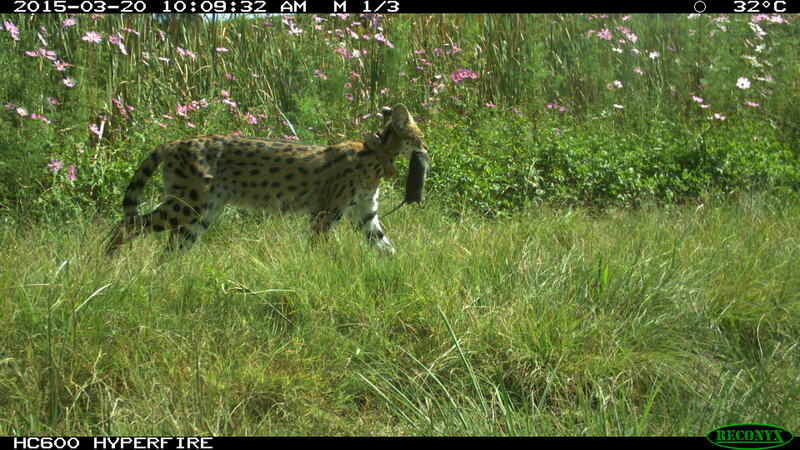 A serval at the Secunda carrying rodent prey. Large carnivores are often among the first species to disappear as human disturbance increases, which makes these record serval densities even more remarkable. 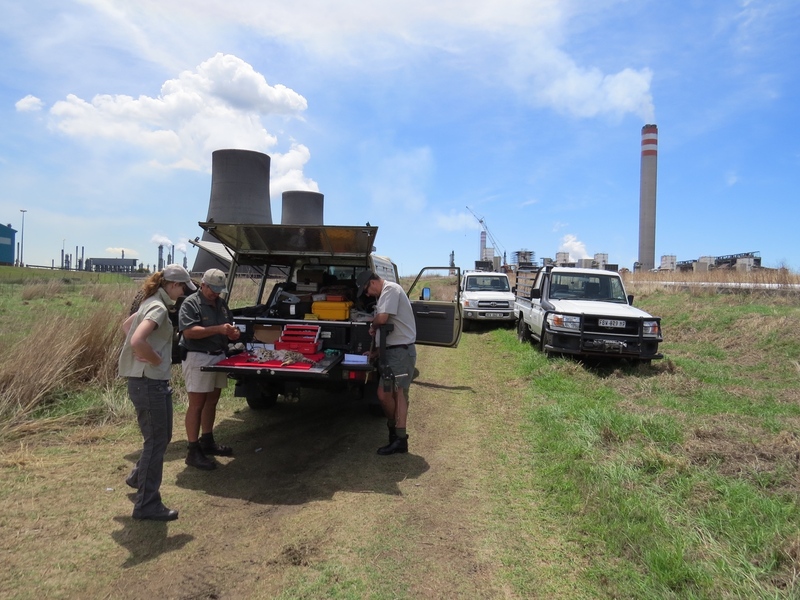 While our study initially focused on serval at the Secunda Synfuels Operations plant, we have now expanded the study to other mining, industrial, farming and pristine habitat areas. We are also now starting to look at other carnivore species in these landscapes, and early results show an extraordinarily rich biodiversity in these areas. Surprising findings such as this give us hope that even as the environment becomes degraded in the Anthropocene, in some cases wildlife can adapt and take advantage of these situations in unexpected ways.